Builders' Ball was an absolute whirl of excitement and energy. 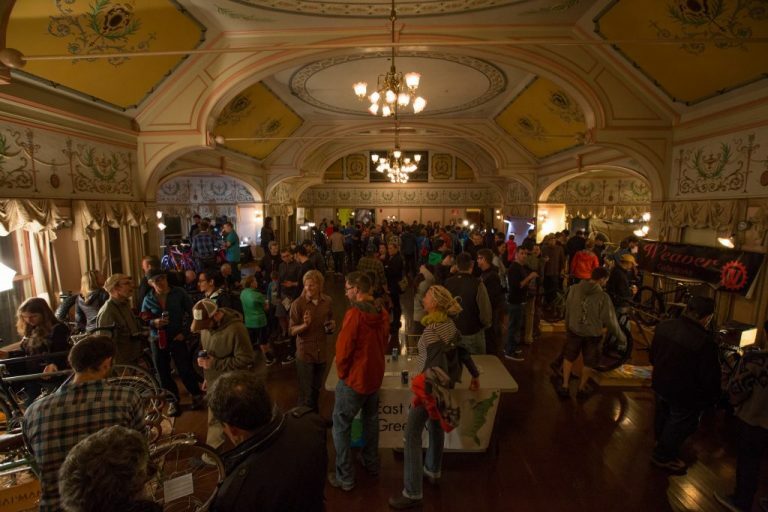 It was one jam-packed day of amazing bikes, people, and conversation. Some of New England's best builders were here along with lots of old and new friends to see. This will be a three-part series of three bikes over the next three days that really stood out to me regarding craftsmanship, utility, and beauty. Enjoy! 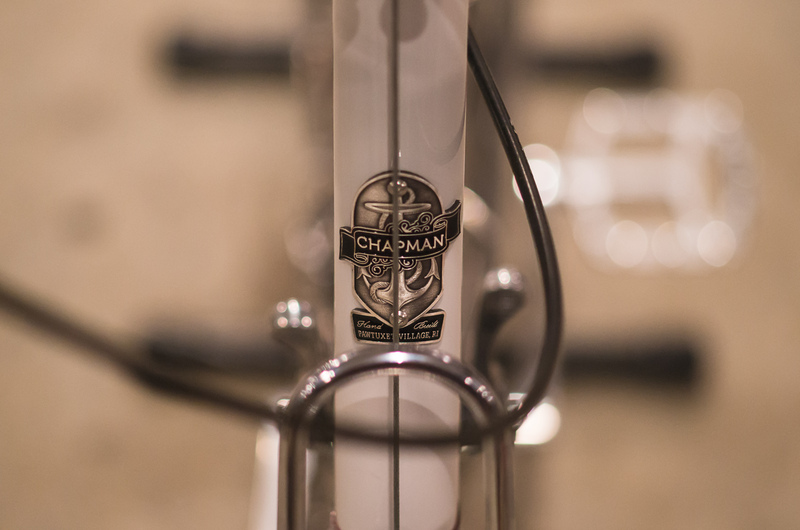 To kick off this trio, check out this Chapman Cycles 650b Flat-Bar Tourer. 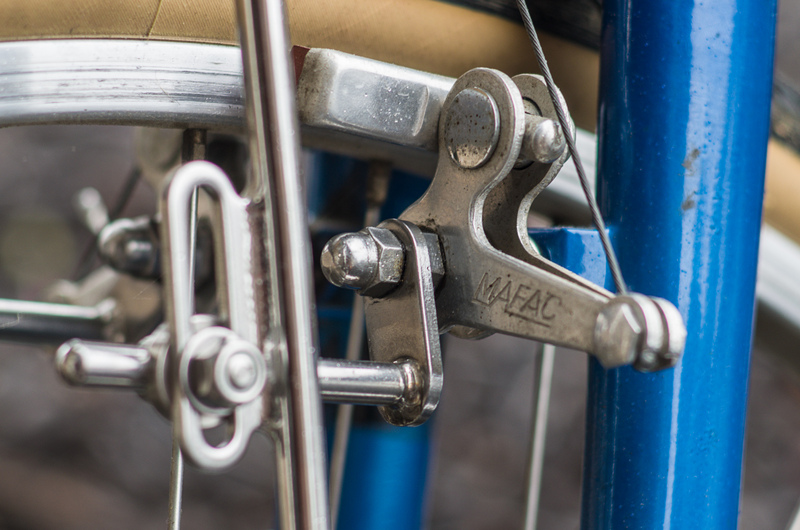 It was an absolutely stunning machine with details for days, flawless paintwork, and custom components that would make even the most known, classic constructeurs to pick their jaws off the floor. 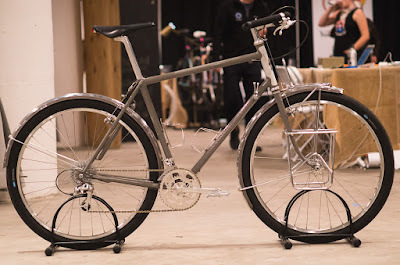 Here is Brian's transcribed blog post about this build along with my photos from the show. 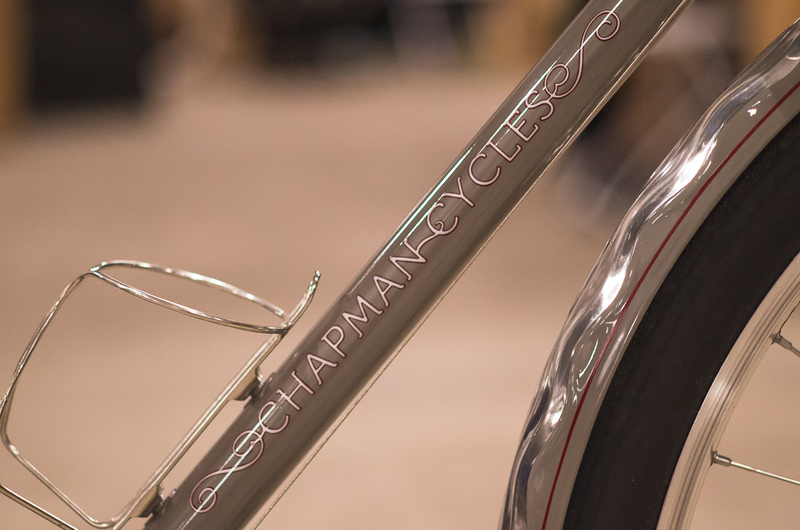 "I’ve known Frank for years as he has been a staple at many handmade bike shows. He even puts on the Ann Arbor Handmade Bicycle Show in Michigan. 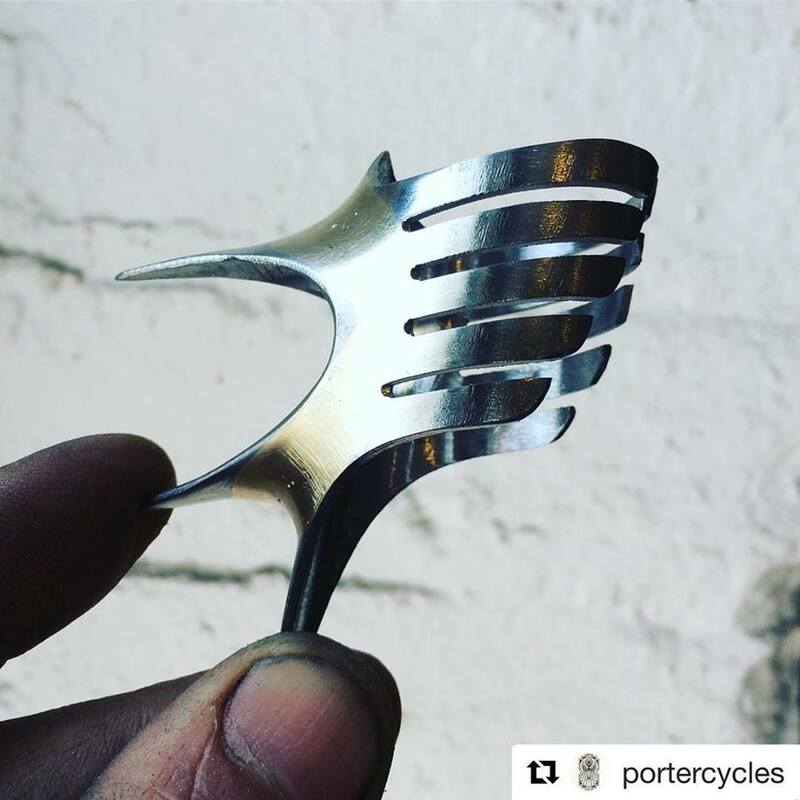 He’s well known in the cycling community as the curator of Lugs Not Drugs on Instagram which features beautiful handmade bikes from around the world. 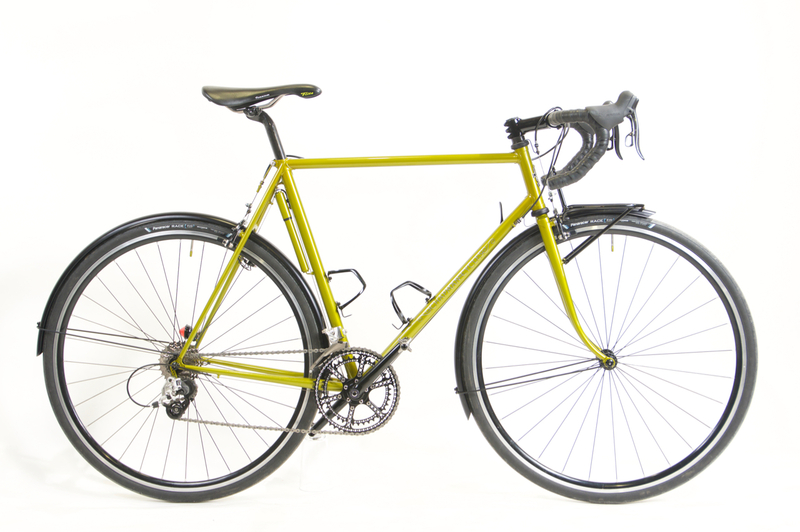 So when Frank asked me to build him a touring bike, I was honored. Many don't know that our draw-bolts are actually plated brass. By machining the ends, you can make some gorgeous contrast with silver and Noir fenders. Frank has many bikes and knew what he was looking for in regards to fit and components. It was definitely a collaboration between the two of us but what you see here is mostly the brainchild of Frank. 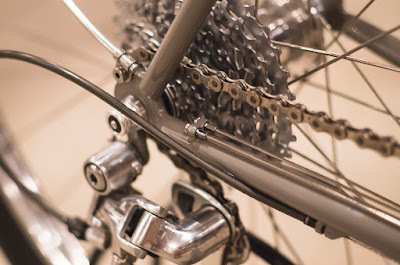 The drivetrain is almost exclusively SunXCD with their cranks, chainrings, front, and rear derailleurs. 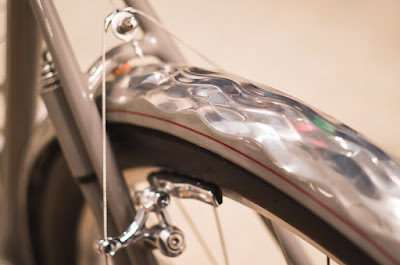 The downtube shifters are Huret friction with a wide range double up front and a 9-speed 11-34 on the rear. 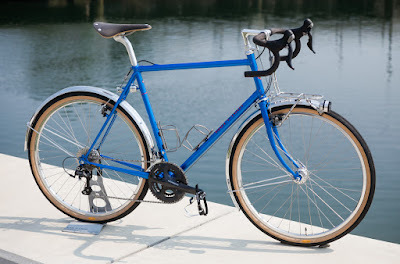 The wheels were built by Tommy at Cutlass Wheels in Baltimore and have the Pacenti Brevet rims laced to a White Industries MI5 rear hub and Schmidt SL wide body dynamo in the front. 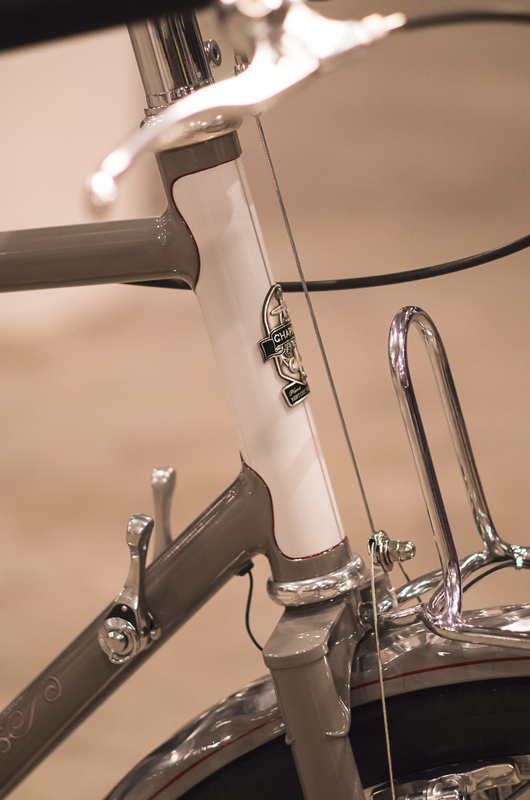 There is a large part of the cycling community who are embracing the 45° back sweep on these Jones handlebars. Jeff Jones has been developing and perfecting these bars for a long time and has a lot to say on how they should be set up. 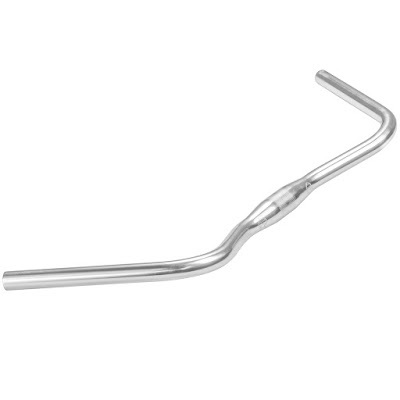 In this case, with some insight directly from Jeff, I set the 710mm Bend H-Bar up for Frank by not cutting them down and using long grips. The grips are the extra long ODI longnecks of which I used two pairs in order to get the full bar covered. I also used downtube shifters and smooth clamp locking brake levers to maximize the amount of hand positions. I find the locking brake levers essential for these bars because if you’ve ever tried to lean one that is loaded against a wall, it really just wants to roll and fall. 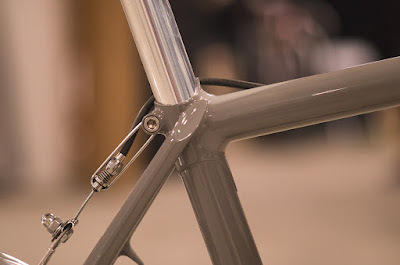 Some of the traditional features I like to include on the bikes I build are the integrated pump, integrated lighting, handmade racks, and handmade stem. But on this bike I tried to take it a little farther with the handmade cantilever brakes, stainless straddle cable hangers, and rear cable hanger. The geometry of my brakes hasn’t changed since I built my first set 3 years ago. I have changed some small details but I’m very happy with their performance as is. 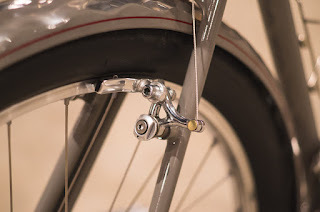 The custom straddle hangers are minimal and use pinch bolts to hold the cable as opposed to a set screw style. 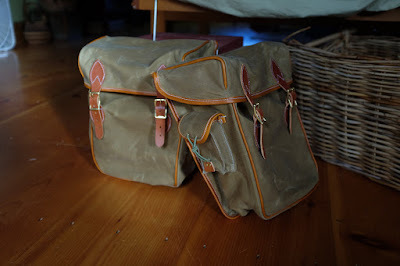 These were quickly cobbled together the morning after I was thinking of them and future iterations may vary a little. Because of the non-traditional geometry, I was not able to build using lugs. 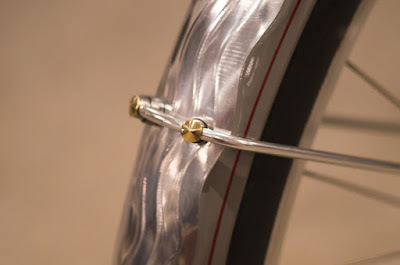 To get a lug edge though, I chose to do a bilaminate construction combining fillet brazing and faux lugs. This can be seen on the head tube and in the seat cluster. The frame has clearance for 650b knobbies but it is shown here with 48mm wide Compass tires and the new Wavy fenders from Velo-Orange. 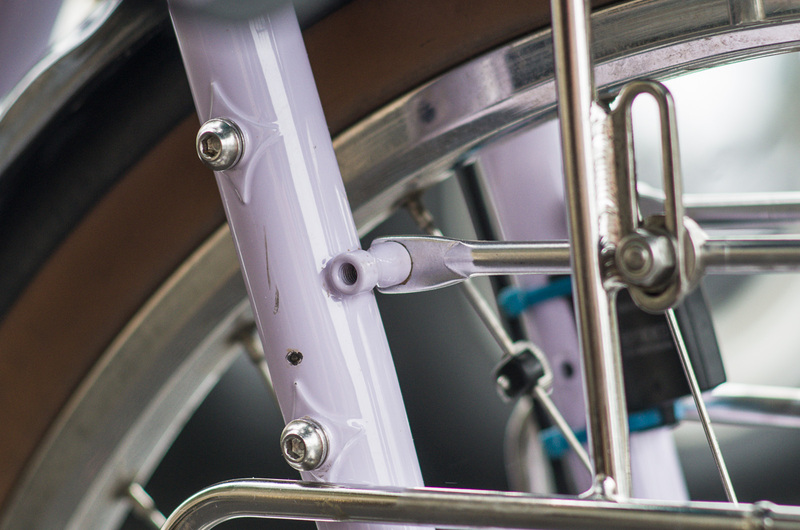 The frame obviously has a sloping top tube and I wanted to make it look as integrated into the design as possible. 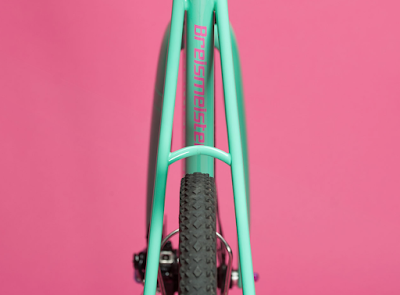 Choosing the angle was not arbitrary and was based off of many criteria including frame size, head tube length, stem angle, and bar angle. I’m convinced that 11° is perfect on a bike this size. Frank is 6’1″ and I wanted the bike to be proportionally balanced. Frank sent me a photo of the gray he liked and I matched him up with this warm gray. The head tube is a very light shade of it and I did the lining in burgundy. I did many mock-ups in Adobe Illustrator going back and forth with Frank in regards to that third color. Burgundy won out over pink, red, and navy blue. There are no straight lines on these Wavy fenders except for the edge but I wanted to play around and try and paint them. A couple yards of 3M blue and green tape later and I had my edge. It’s actually difficult to see the transition in certain lights but the burgundy stripe is clearly visible. This gray bike may be understated from a distance but once you get up close, there’s a lot to take in." 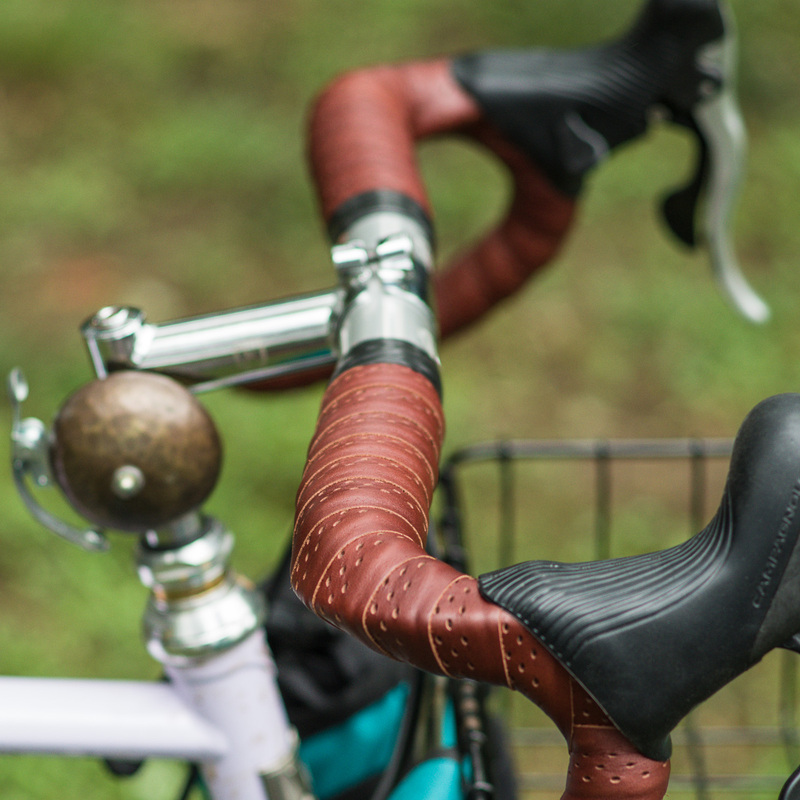 We are super excited to launch three new handlebar shapes to appease even the most discerning cockpit aficionado. The Nouveau Randonneur Bar is our take on a modern rando bar designed for riders using integrated shifters and aero brake levers. 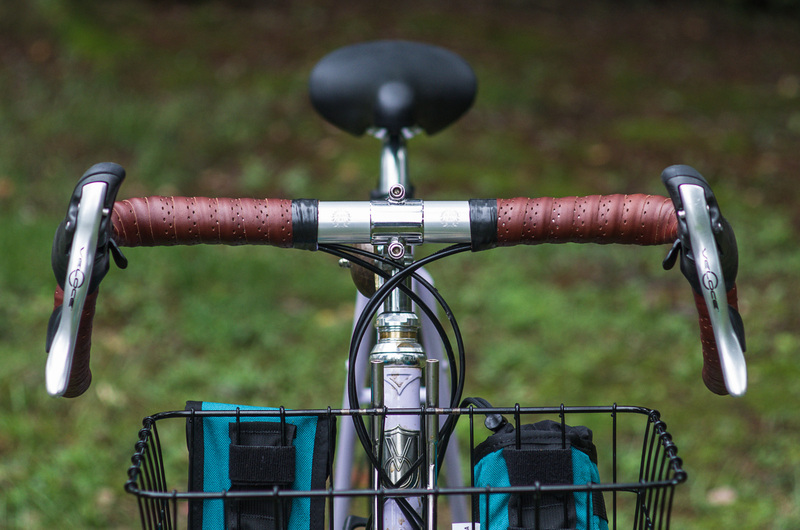 The Curvy One Bar is an updated city and touring bar with more than enough room for modern sized grips, brake levers, and shifters. 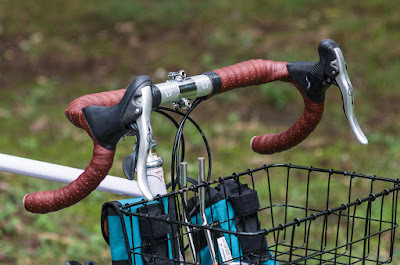 Finally, the Curvy Too Bar is a flat and not-quite-as-Curvy handlebar designed those who want a more spirited position. Enjoy! First, let's start with a bit of background. 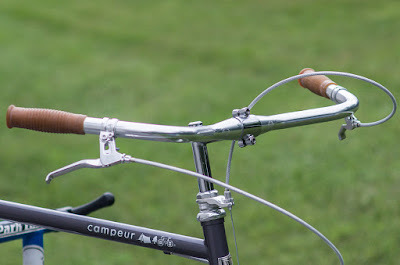 Traditional Randonneur Bars have always had an easily recognizable shape: round bends, long ramps, deep drops, and up-sweeping tops. It makes sense. Non-aero levers are fairly small, so you have more real estate on the ramps and drops as you change your position throughout the day and terrain. 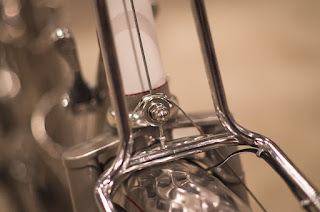 You can get the bars up a bit more without resorting to a riser stem with upward bends by the stem clamp. 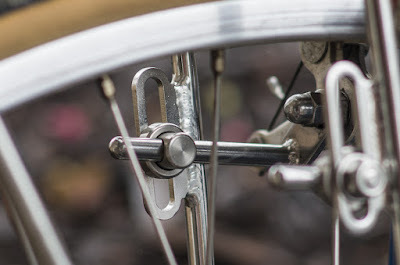 With the proliferation of integrated shifters making their way onto touring, randonneuring, and now gravelling bikes, these traditional shapes are not always conducive to a comfortable on-the-hood position - ergonomically speaking, where your hands would spend much of their time. The ramps are often too long, even paired with a short stem and the ramps on vintage Italian-style road bars simply do not match the curves of these modern shifters and levers. 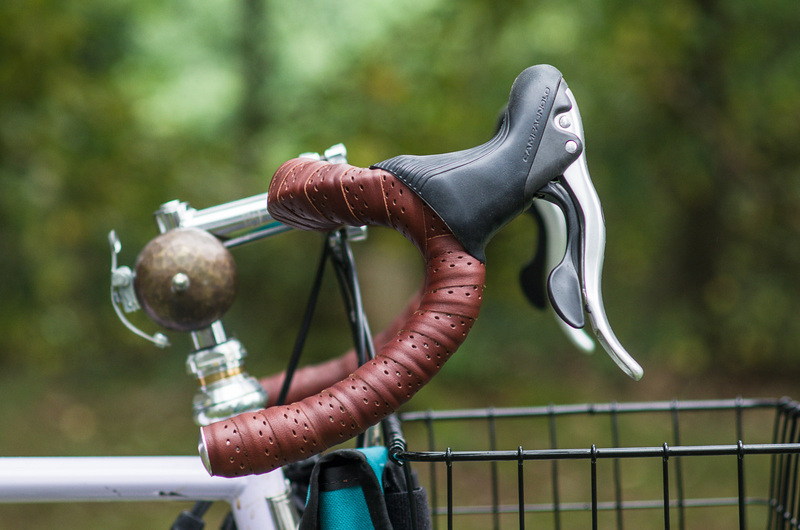 The design of the tops, ramps, hooks, and drops all make the Nouveau Randonneur Handlebar an absolutely lovely abode for all-day riding. 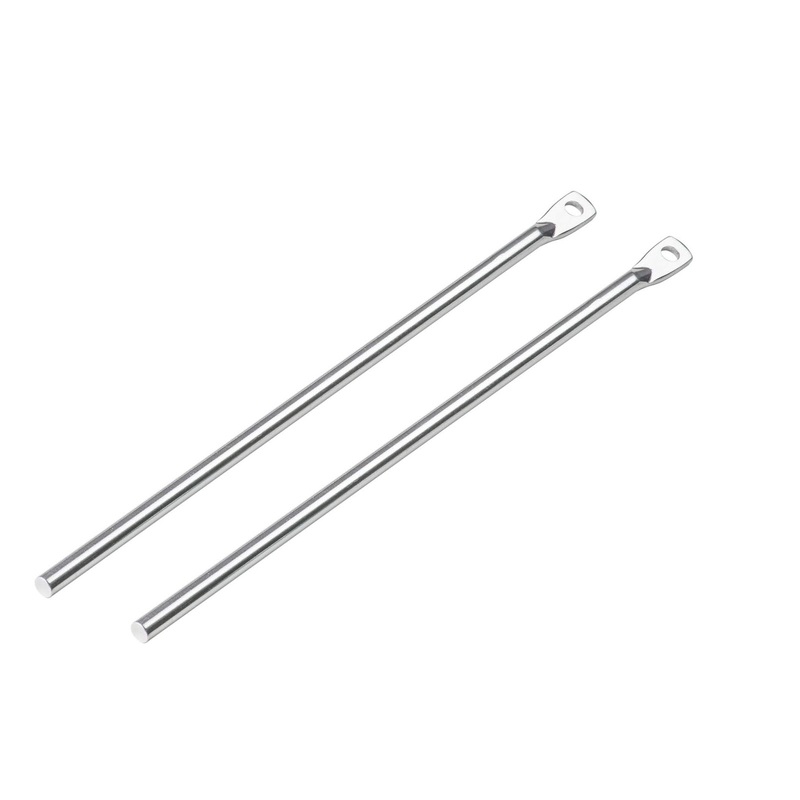 The most visible difference from a traditional bar is the shape of the tops. They are ovalized and sweep back ever so slightly from the stem clamp. An ovalized section makes for a bigger area upon which your hands can rest. A wider palm base means road vibrations and impacts are distributed better and not centralized into a specific spot. Additionally, the sweep lends itself better (than a straight top) to your hands' natural resting position. Measuring the reach of this bar is a bit tricky. The ramps are 105mm in length, but since the tops sweep back, the traditional reach measurement (originating from the stem clamp to the edge of the ramp) is more like 85mm. 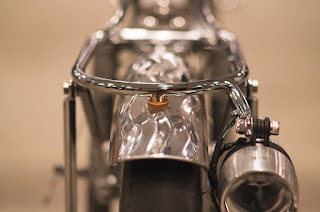 In total, this means the ramps are long enough for a resting position behind the shifter hood for cruising, but short enough to easily reach the hood for shifting, braking, and out-of-the-saddle efforts without resorting to extreme stem lengths which could affect handling. Reaching down from your hood's perches to the drops is not extreme. 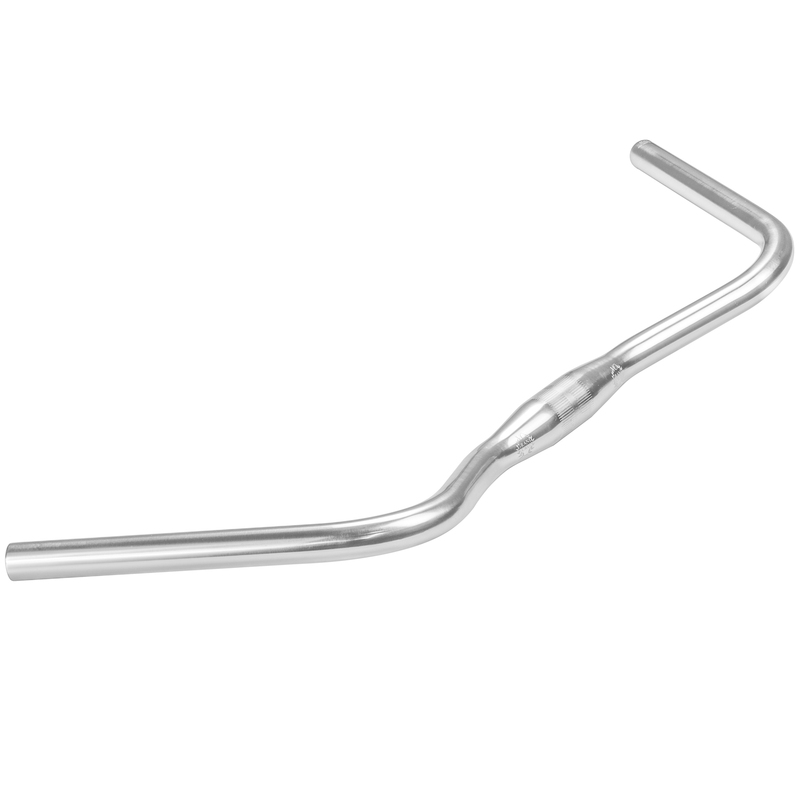 The drop length is roughly 128mm. Deep enough to obtain some aero advantages as well as cornering stability, but also not so deep your back will curse at you in the morning. At the hooks, there is 12 degrees of flare. It opens your chest, makes the bike more stable, and means your forearms won't hit the bars when making out-of-the-saddle efforts. 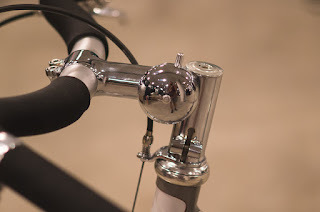 The ends are also reamed to fit regular bar-end shifters. The Curvy One is our take on a traditional city and touring bar while retaining the elegant lines and curves that are often lost in many of today's modern offerings. Width is a cool 650mm and rise is generous at 30mm. With 60 degrees worth of sweep, you'll have a fairly upright position with a ton of control. The grip area (22.2mm) is more than enough for modern grips, brake levers, and shifters at 180mm in length. The clamp diameter is 31.8mm and the grip diameter is 22.2mm. The Curvy Too is a wider version of our Postino that fits modern accouterments. 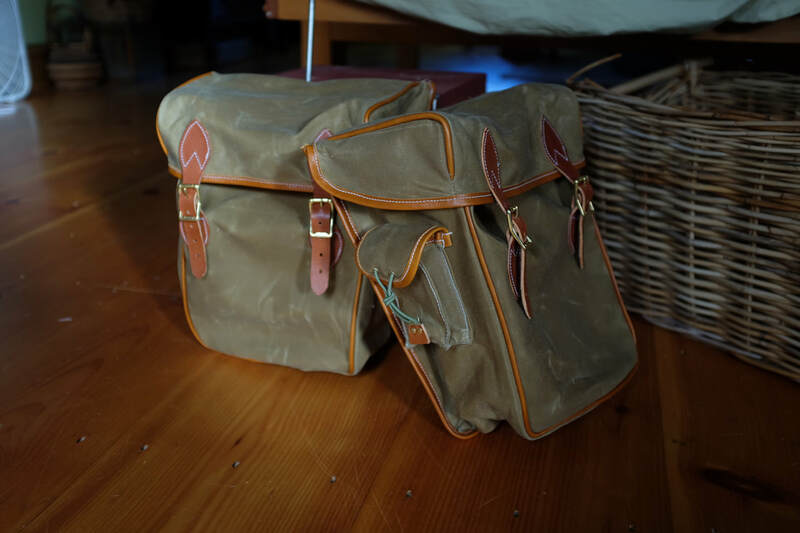 It's very lightweight at 273g, has no rise and drop, and is perfect for those converting roadies into a more comfortable, albeit, spirited position. With a width of 680mm and sweep of 30 degrees, it's ready to make those stoplight sprints and treks off the beaten path! Bonus: The Curvy Too is also MTB rated, so it's a great option for your bikepacking rig. I'd say that I'm someone who tends to keep bits and pieces around. Not hoarding. Certainly I have a stash of stuff, but I'm not one of those people that has 25 chains and 16 seven speed cassettes sitting about, waiting, ah hmm, for an opportunity. 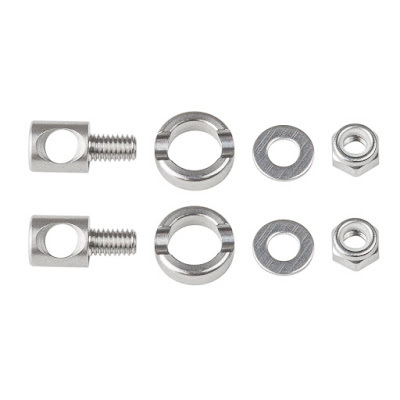 I don't cruise ebay looking for stuff, but I do appreciate having extra nuts and bolts on hand should something happen. So in this vein, we now have spare parts for our popular Front and Rear Campeur Racks. 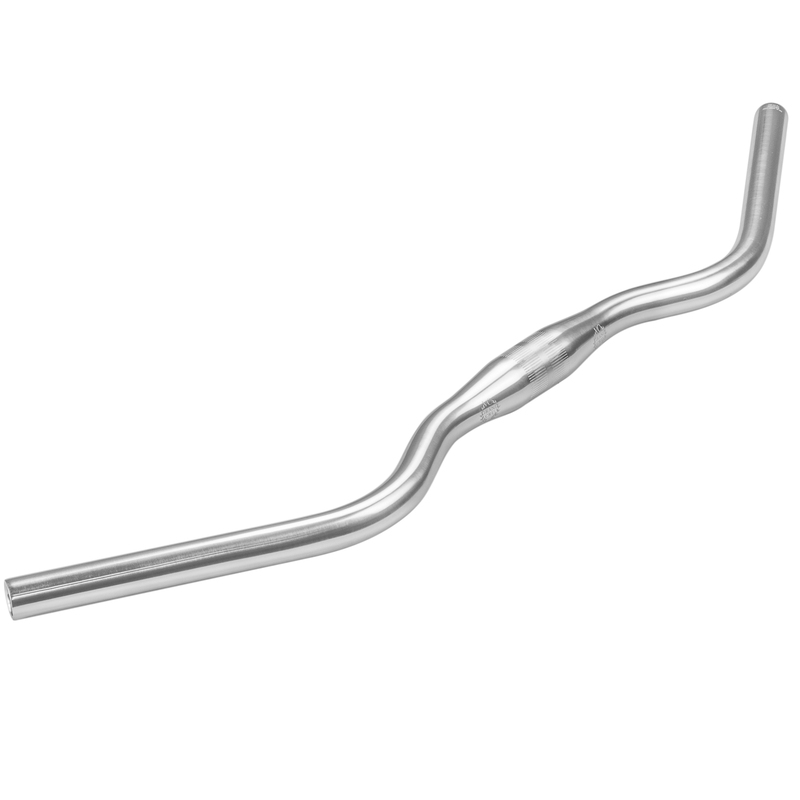 (They'll also work for Nitto Campee racks). We have the long stays for attaching the rack to braze-ons that the frame would have both for the front and rear. Finally, we have the ever elusive hardware kit for the rack. 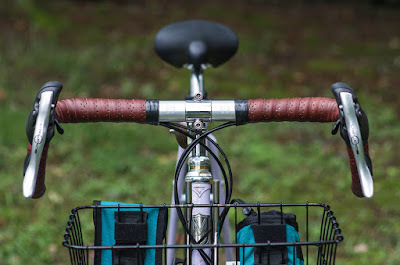 These racks use a washer with a concave centre section to secure the rack stay, so if this goes missing in the back of the garage or lost in the foliage while you work on it outside, this is about the only way to make it work again. 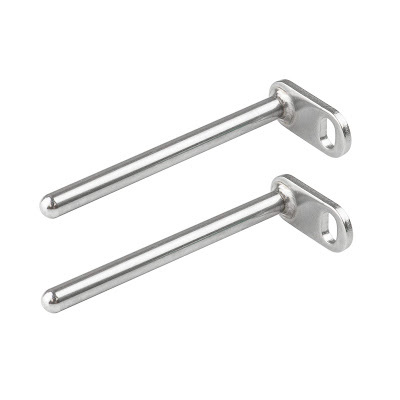 Don't forget to look at our other rack hardware and accessories on offer here. If you haven't already, mark your calendar for this year's New England Builders' Ball, Saturday, September 22nd at the super neat Innovation and Design Building in Boston, Massachusetts. It's going to be a really great time to check out the best custom frame and accessories makers the New England area has to offer. We're going to have a booth to show off new products, a couple stellar builds, and give us the opportunity to say hi to everyone who attends! And finally, here are a few photos from past shows to wet your whistle. See you there!